Article first published as Four Things I have Learned from Steve Jobs on Technorati. 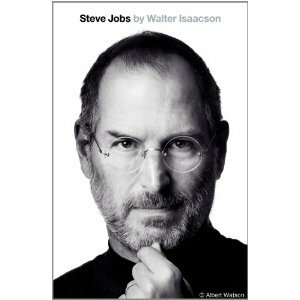 I recently read Steve Jobs by Walter Isaacson. I found the book both interesting and annoying, something I think summarizes how many people felt about Jobs as a person. Never having made billions myself, I feel in a poor position to criticize Jobs. However, there are things I learned in the book that bother me. I wonder if Apple could be a greater company today if it was allowed to be a little less of Jobs cult of ego. I’ve decided that there are four key lessons to take away from Jobs and Apple. Lesson 1: Don’t be limited by what people know they want. This is a commonly acknowledged key to Job’s genius. He was inventing devices consumers didn’t even know to ask for. Apple brought great advancements to the world of the personal computer. I shudder to think how techno-geeky the average PC would be today without Apple’s influence on making things easy for the average person. Just as Henry Ford knew that people wanted a motor car, not a faster horse, Jobs knew that people needed technology that was simple. Lesson 2: Never think you know it all. So here is where I take issue with Jobs. He really thought he knew it all. In the 656 pages of the biography there is not one mention of researching or listening to the consumer. Rather, the only influences were those things that people at Apple were willing to fight him on. And, sometimes they won. I can only wonder if Apple’s market share would be larger today if Jobs’ genius was combined with some actual caring of usability and consumer preferences. I offer my iPhone as an example. Sleek design, yes. Streamlined user interface yes. Usability, not so much. Every time I have to look up a phone number I am amazed at how hard it is to find a phone number on my cell phone. And, every time my cheek activates the speaker or hangs up on a call I just have to groan a little. It’s pretty, it was easy to get started, but boy does it have some basic usability issues. I don’t anyone knows enough to eschew usability testing, audience analysis, surveys and other means to get real information from real people. We all need to validate our ideas and concepts in the real world. Lesson 3: Play nicely with others. Jobs seemed to think no ideas matched his own, so mostly never licensed anything with anyone else. This is why back in the days that I worked on a Macintosh my software options were so limited. And, why after I changed jobs and worked in a PC environment I was frustrated that any files created on a Mac could not be opened on my computer and vice versa. The hours wasted! One of the things that saddened me the most is that a person and company that made so much gave so little in return. There was no focus on charitable works. Jobs apparently found no value in such activity and really looked down on Bill Gates for his foundation work. At Apple, there is no value on sharing what you know. Apple under Jobs was a walled garden. If you were lucky you got invited in to play. Everyone else was left on the outside looking in. I think of all opportunities to use that genius to do good in the world and am just so disappointed.